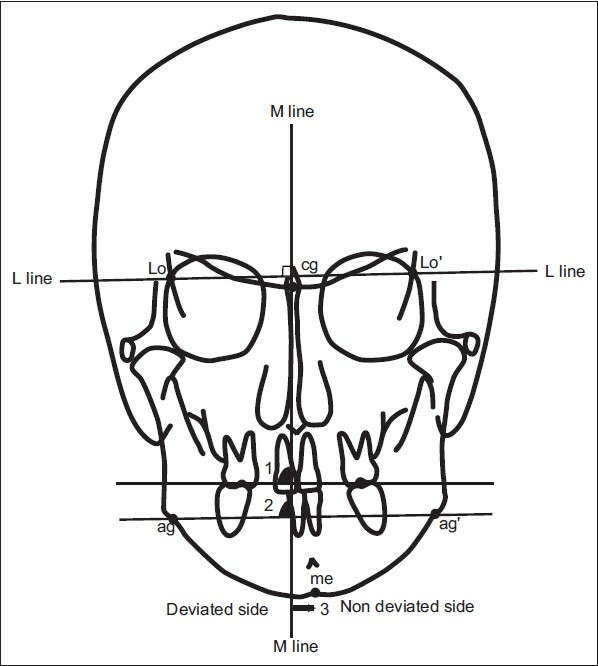 Objective: To evaluate the position of hyoid bone in the subjects treated with Twin block appliance. Materials and Methods: The sample consisted of 40 Angle's Class II division 1 subjects treated with Twin block appliance. Lateral radiographs were taken before and after treatment. According to Schudy's facial divergence angle (SN-MP), the subjects were classified in to three groups: group I (hypodivergent, SN-MP: <31° (27°-30°), n=15), group II (normodivergent, SN-MP: 31°-34°, n=15), and group III (hyperdivergent, SN-MP: >34° (35°-38°), n=10). Lateral cephalograms were traced and analyzed manually. After measurements of variables, Student's t-test and one-way analysis of variance (ANOVA) were performed. Results: Post treatment with Twin block therapy, hyoid bone shifted significantly (P<0.01) forward in horizontal dimension in all three groups, although it was highest in group III. However, there was no significant difference amongst the groups. 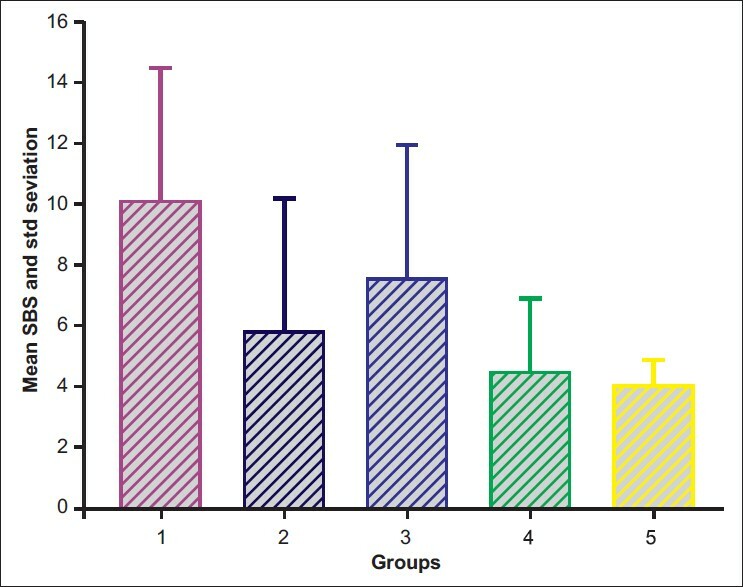 In vertical dimension, hyoid bone shifted in upward direction in all three groups; however, the shift was significant (P<0.01) only in group I and there was a significant difference between group I and rest of the two groups. 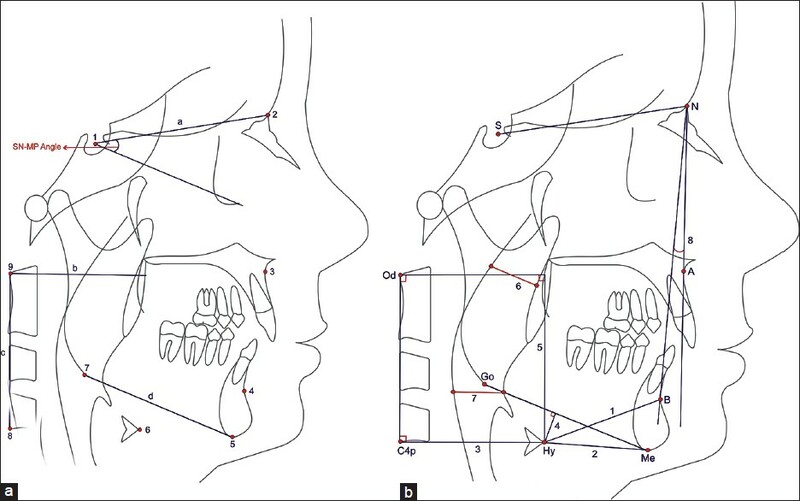 Width of upper airway significantly (P<0.01) increased and ANB angle significantly (P<0.001) decreased in all three groups with forward movement of mandible. Conclusions: After treatment with Twin block appliance, significant changes occurred in horizontal dimension (anterior displacement), which resulted in significant increase in width of upper pharynx in all three groups. Aim: To evaluate the effect of the application of either fluoride varnish (FV) or amorphous calcium phosphate (ACP) as preventive method on shear bond strength (SBS) at the same time of their bonding in vitro using self-etching primer (SEP) as an agent for enamel pre-treatment FV. Materials and Methods: Sixty human bicuspids were randomly divided into five groups: G1 was rubbed by SEP for 5 s, G2 for 5 s by SEP and ACP, G3 for 10 s by SEP and ACP, G4 for 5 s by SEP and FV, and G5 for 10 s by SEP and FV. 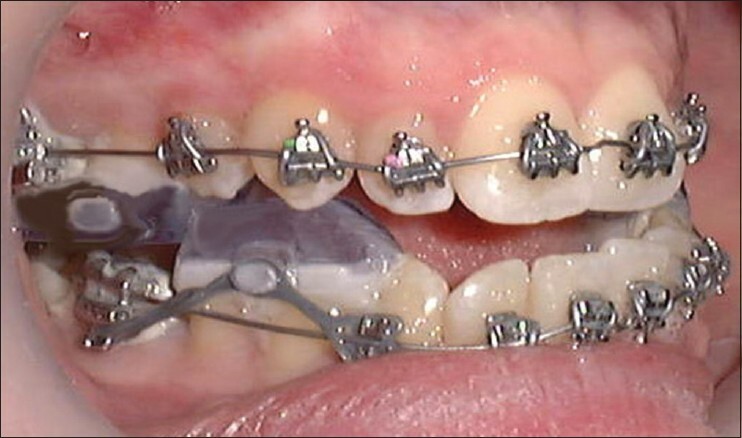 Stainless steel metal brackets were bonded. A Zwick/Roell Z020 Universal Testing Machine (Zwick GmbH and Co, Germany) with a 500 N load cell was used to test SBS. SBS values were analyzed using one-way analysis of variance (ANOVA) and Tukey's post hoc tests (P≤0.05). Differences in adhesive remnant index (ARI) values between groups were calculated. Results: The mean SBS values were 10.00±4.48 MPa, 5.71±4.3 MPa, 7.47±4.44 MPa, 4.4±2.39 MPa, and 3.98±0.83 MPa for groups 1-5, respectively. Significant differences in SBS values between all groups were found. The mean SBS values of groups 2, 4, and 5 were significantly lower than that of the G1. No significant difference was found between G3 and G1. Significant difference in ARI between the groups was found (P<0.001) and G1 had a significantly higher ARI. Conclusion: The results suggested that the application of ACP at the same time of using SEP for 10 s has no effect on SBS.